Adams County Head Start enrolls and actively recruits children with disabilities. In accordance with the Americans with Disabilities Act (ADA) and the Individual Disabilities Education Act (IDEA), accommodations are made to facilitate the participation of children with disabilities and their families. To learn more about the ADA and IDEA, you may visit www.nichcy.org. 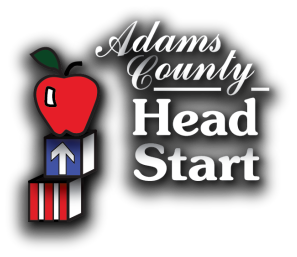 Adams County Head Start has a Letter of Agreement with Lincoln Intermediate Unit #12 in New Oxford to provide for the needs of children between 3 and 5 years of age with identified or suspected disabilities. In collaboration with the LIU #12 and a child’s parent/guardian, Head Start staff work to screen children for possible delays, create and implement provisions on a child’s Individualized Education Plan (IEP), offer support and training, and help with the child’s transition from one program to another. ​Services may include: inclusion services, speech/language therapy, physical therapy, occupational therapy, hearing services, and/or vision services. When deemed appropriate, many of these services are provided in the Head Start classroom during regular classroom time. If you have concerns regarding your child, and would like to have them evaluated, you can contact the Disabilities Coordinator, classroom teacher, family engagement worker, or the LIU #12 for more information.